Effectively highlight the special and unique features of your venue. Banners highlight key marketing messages. 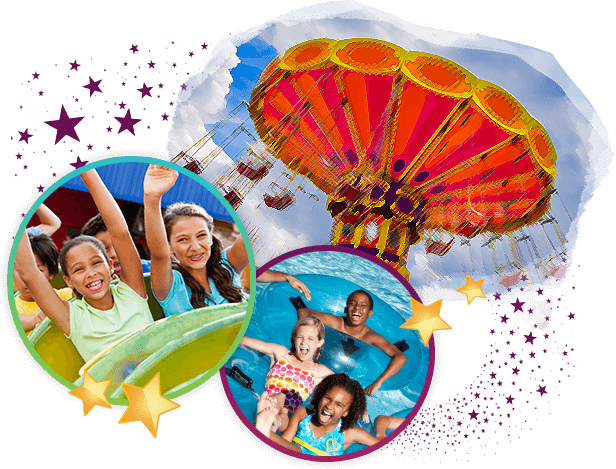 A series of home page banners is an effective way to highlight key attractions and capture the interest and attention of website visitors. The content can be visually stunning, but also deliver marketing messages that are easily “browsable” by visitors, along website links to additional resources to increase engagement. Help visitors connect with your website content. 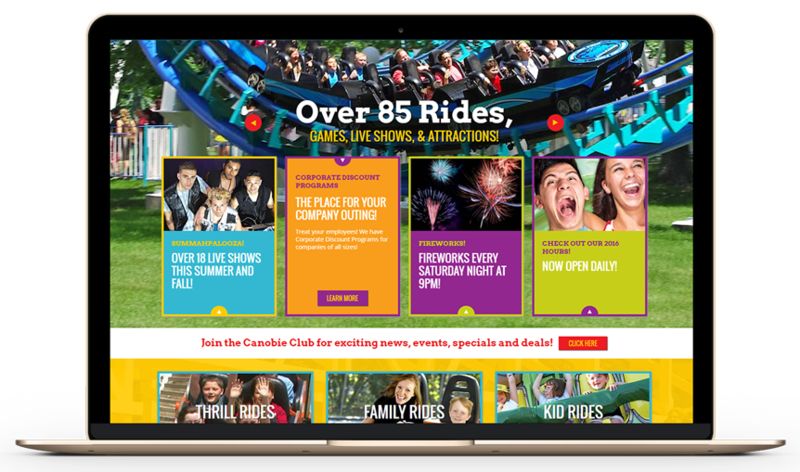 Home page components can highlight key areas of the website including Group Sales Information, Special Events and Park Promotions clearly out in front of visitors on your site’s home page. 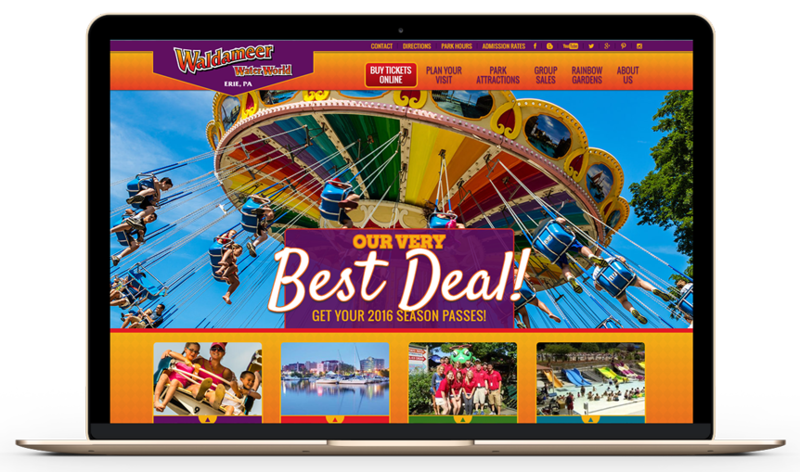 This content can be easily updated using WordPress to keep your promotional activities fresh and up-to-date during the park season. Make it intuitive for visitors to see the breadth and depth of your park’s attractions, along with an ability to drill down for more specific information. 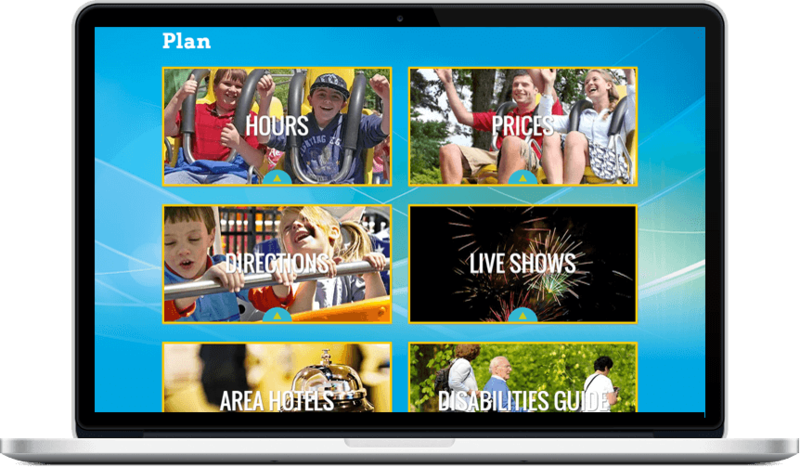 The website user experience is enhanced because visitors can easily browse and quickly understand all of the special features your park has to offer. Easy to edit layouts present information clearly. 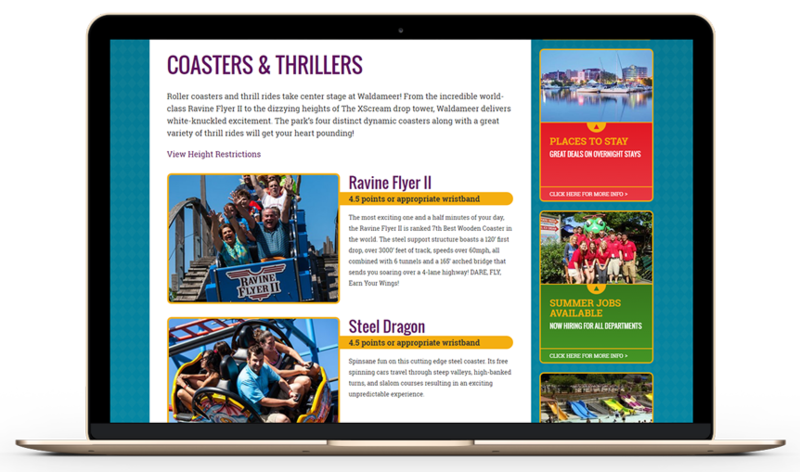 Pre-built content formats make managing your content simple while also providing a consistent, effective presentation of important information such as height restrictions on your rides. These solutions also translate into an effective solution for mobile devices. Click to view all web solutions.